Corrosion begins when an electrolyte (water, oxygen, humidity) is present on the surface of a metal. When this happens, electrons then flow from high-energy areas of the metal to low energy areas in a loop, through the electrolyte. 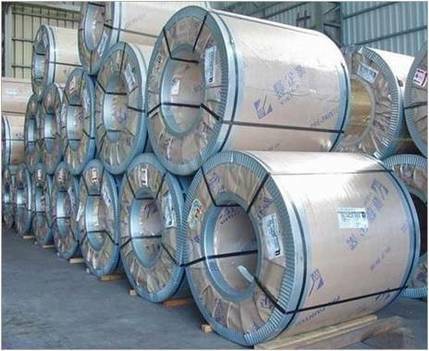 The corrosion process results in the formation of oxidation on the metal surface. PDS VCI retards this reaction by passivating the surface and inhibiting or depressing the electro-chemical mechanism that triggers oxidation. Electrical current attempts to flow from the anode through the electrolyte into the cathode but cannot, because of the VCI’s presence. VCI molecules attach themselves to a metal surface to form an invisible, thin film, possibly only a few molecules or even one molecule thick, to protect metal from attack. 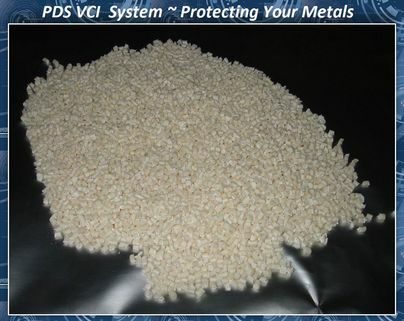 PDS VCI products can work for several years to prevent corrosion from occurring on the metal surface. 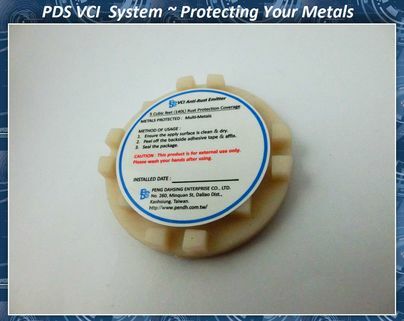 PDS VCI master batch is a Nitrite-Free anti-corrosion master batch designed for both ferrous and non-ferrous metals. 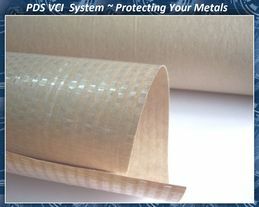 PDS PLUS VCI master batch can be blended with many polyethylene resins (LDPE/ LLDPE/ HDPE / PP) to form a broad range of anti-corrosion packaging systems. 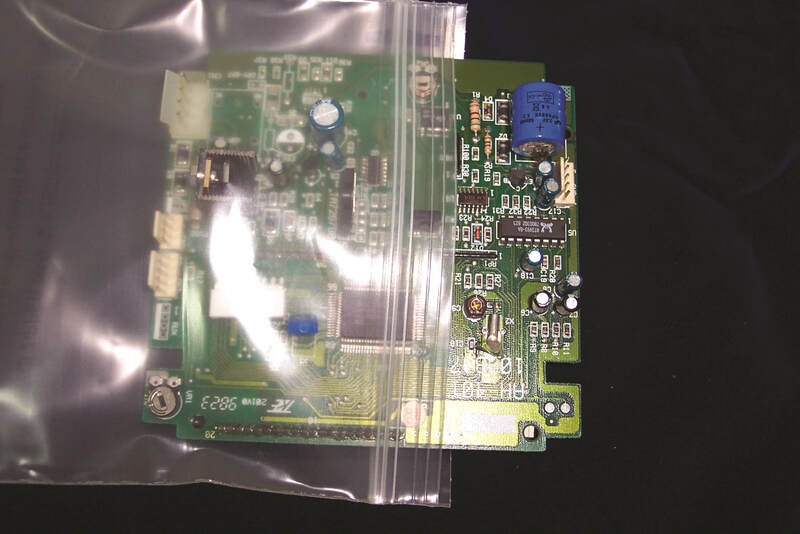 PDS Emitters are designed to prevent corrosion on metals inside cabinets and enclosures where ESD properties are also needed. 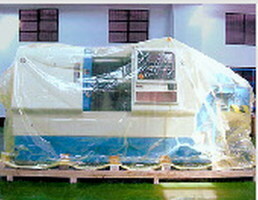 The protective vapors begin to work immediately upon installation. 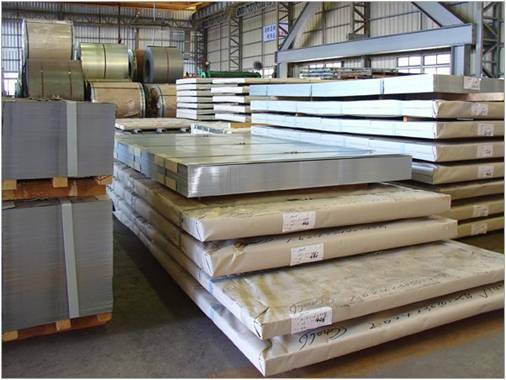 Use as many as you need for the size of the cabinet, crate or box. 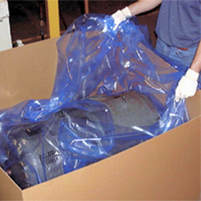 Protects up to 5.0 cu.ft for up to 24 months.